The Round up of March's single releases is here. 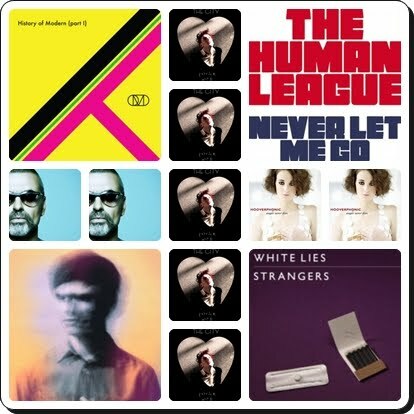 We start with the Human League who are the band of the month who are releasing their second single "Never Let Me Go" from the album 'Credo' which is out on Monday. Earlier this month OMD released their third single "The History of Modern part 1" from the album of the same name and James Blake released the second single "The Wilhelm Scream" from his self titled debut. White Lies are back with "Strangers" and so are Hooverphonic with "Anger Never Dies", both releasing second singles from their albums. Patrick Wolf returns with a new single "The City" which also announces new album this spring. And last but not least, George Michael covers "True Faith" by New Order and fails to impress the music media with his interpretation of the song. Well at least, it's for the good cause.